Filed under android on June 27, 2015. Recently I received an invitation to join Google’s Project Fi program. I’ll write more about Google’s mobile phone service at a later date. 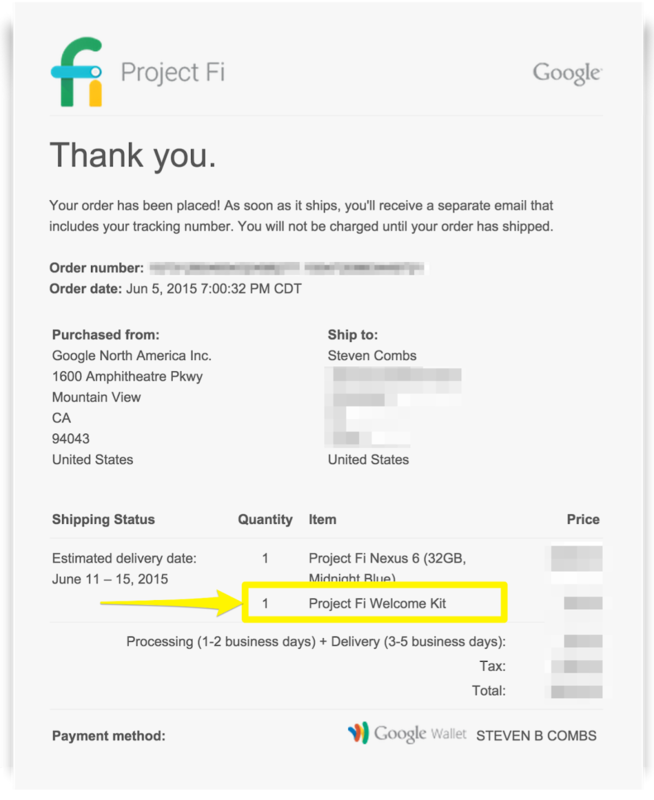 This post shares the surprise I received – the Project Fi welcome kit. Images of the welcome kit are below. Under each image are comments. I’ve yet to try out these bonus items, save the for the Nexus 6 cover. I used it for a day or two but did not like the white case, even with the cool Fi branding. The color just wasn’t my style and I was afraid that dirt would begin to show. I purchased a clear case from Amazon for $7 that has served me well. I hope to try the other two items soon and if I do, I will be sure to come back and update this post. Until then, I will display these items in my office. The gadgets and the packaging are quite the conversation pieces. In the meantime, I thought others might like to see what’s in store when selected to participate in the Project Fi program. Not sure how many of these packs Google has available, but glad I was able to snag one.